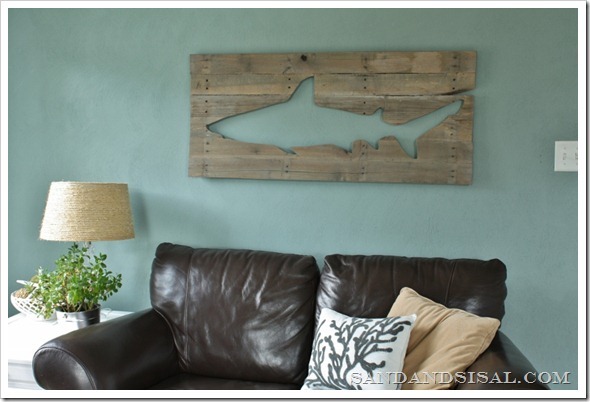 And just incase you think the wood pallet decorations are just for holidays, here are some great ways to use them in your everyday decor. 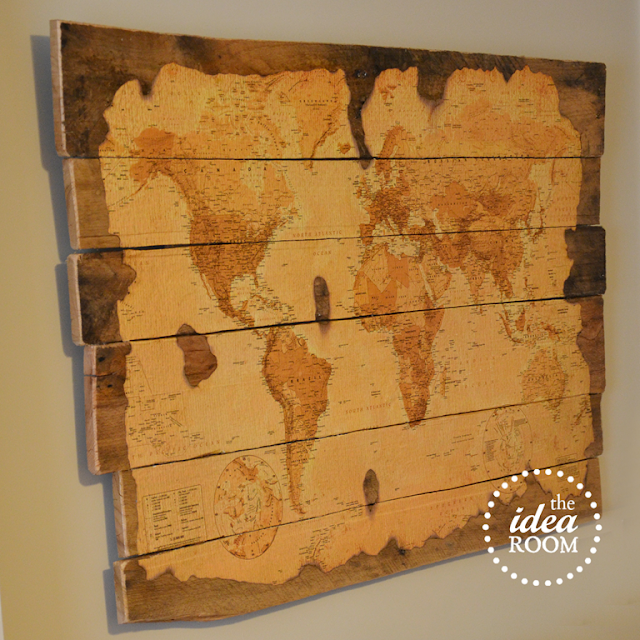 Like this wood pallet map that Amy from The Idea Room created for her son's room. 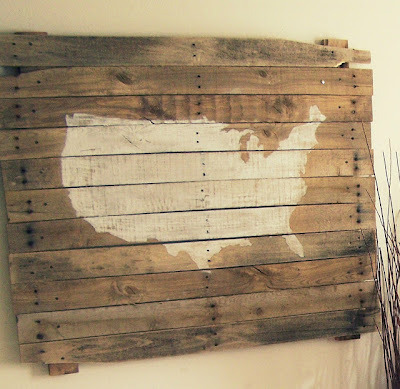 This is a great way to get out of having to find a frame for a giant map you want to display. Kelly from Kelly Simon Says painted her own map to make her map pallet artwork. 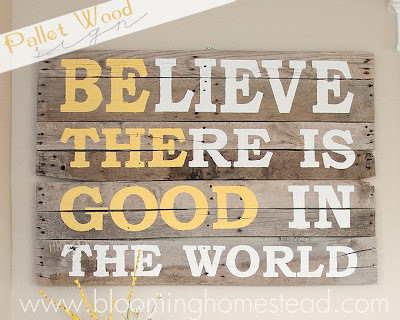 She actually made this one for the 4th of July, but you could easily leave it up all year round. Kim cut out the shape of a shark to create her shark pallet art, but if you don't have the tools you could always paint around a stencil of a shark instead. 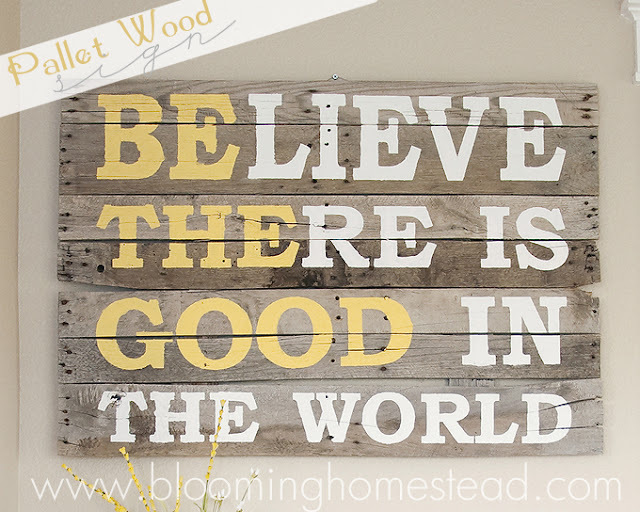 They also make great wood signs for your favorite quotes, like this rustic wood sign from Blooming Homestead. 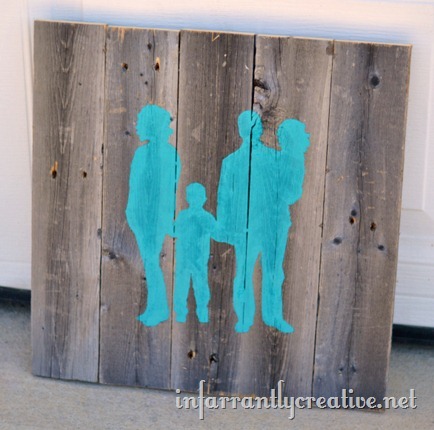 And Beckie from Infarrantly Creative used a pallet to create a fun family portrait with her family silhouette pallet art project. All such fun ideas that just require a little old wood.